My grandmother “Nana” had a serious stroke 12 years ago. She doesn’t remember much that has happened since her childhood, and pretty much thinks of herself as a girl. She doesn’t remember me when I visit her memory-focused assisted living, but gets that I am there for her and is as sweet and as pleasant as ever. She even forgets what she said a minute before, and when she finds a good joke, she repeats it. We were only recently a family of four on our last visit to New York and she kept asking how many kids we planned. She would then advise, “Two or three is okay, but more than four is too many.” So of course my husband would tell her we wanted fourteen and she would crack up. This happened about twenty times in the space of an hour. As you may see in the index card, there isn’t a ton of detail to the technique, nor in the version my mom wrote for the cookbook. But I’ve added some tips and my own system for sailing through the prep. 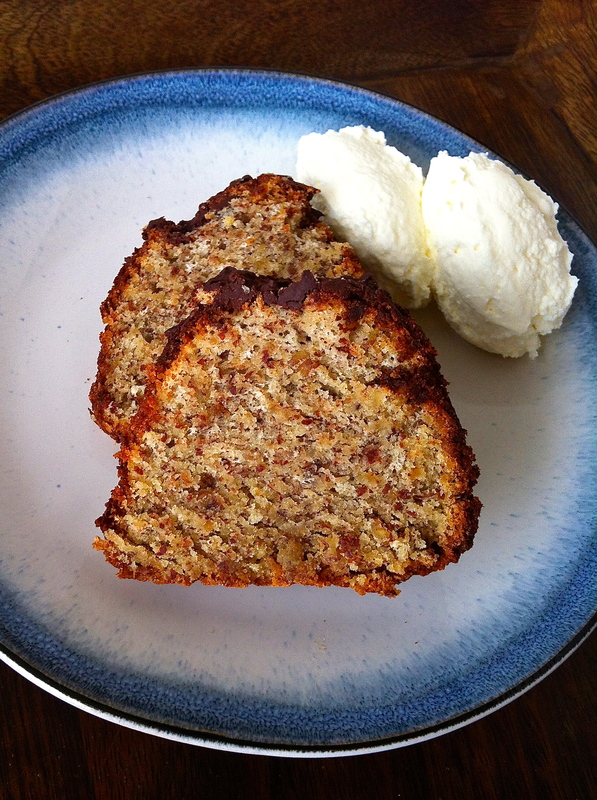 You could make it all by hand, but a food processor and mixer will help. Tip: no need to wash the processor between ingredients. I even go ahead and make charoset right afterwards. A friend in the midst of a Whole 30 challenge, gave me a Paleo-friendly apple and nut muffin that had such a similar taste and texture. Although this a “torte” in the sense that it uses no flour, rather ground nuts and a handful of matzo meal (similar in baking to breadcrumbs), I bet it could be adapted to gluten-free pretty easily. Try using almond meal in place of the matzo and/or more apple. 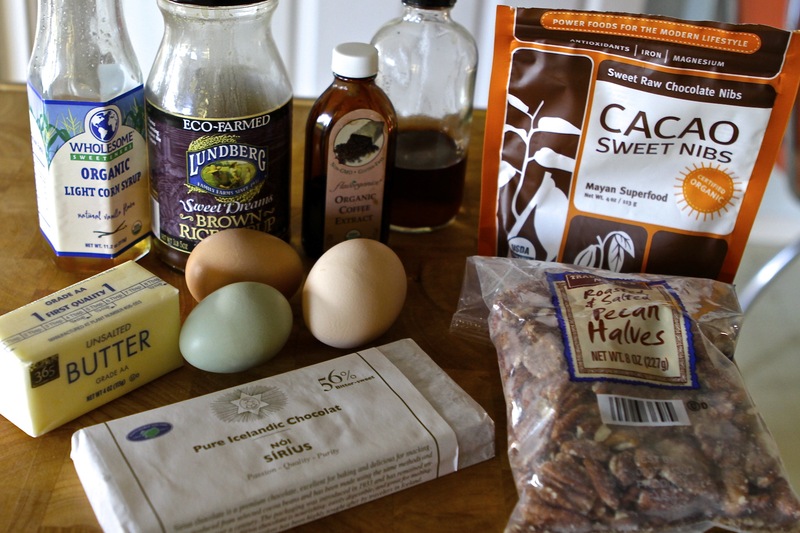 There is no added fat, other than the eggs and nuts, and this Passover torte is not too sweet. My grandmother noted “Red Delicious” apples, but I have often used Fujis with good results. Passed down from my grandmother, this traditional passover cake could easily be confused with a contemporary paleo-ish torte, featuring chocolate, chopped walnuts and apple in a light sponge. It's not too sweet, and everyone loves it! Preheat over to 350*F. Grease a 9 inch springform pan. 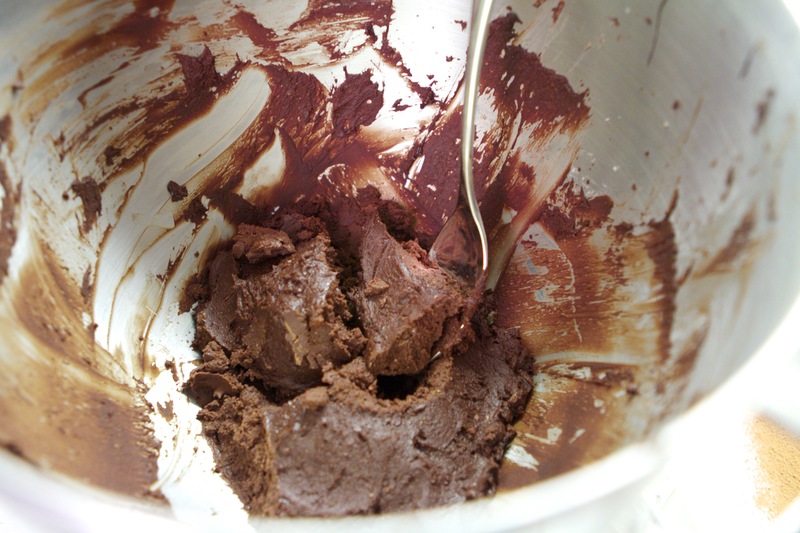 Using a grater, or grating attachment on a food processor, grate the chocolate. 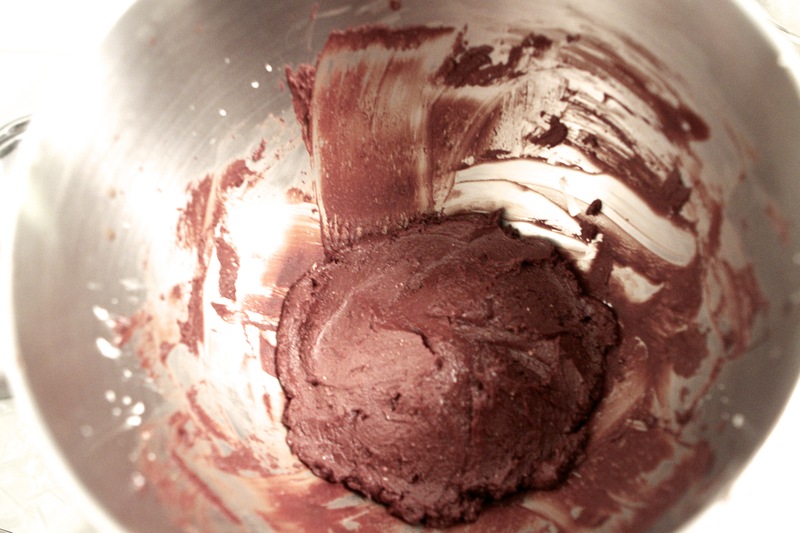 Place the chocolate in a medium sized mixing bowl. Without washing or rinsing the food processor, grate the apples. (The apples should be cored but don't peel them.) Add to the mixing bowl. Without washing, take out the grating plate and put the chopping blade into the food processor. Chop the walnuts and then add to the mixing bowl. 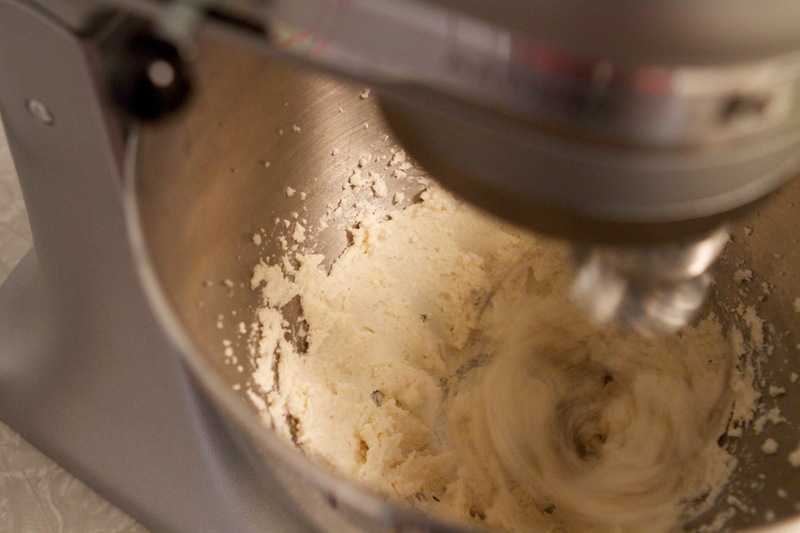 In the bowl of a stand mixer, beat the egg yolks with the sugar until thick (at least 2 minutes on high/fast.) Gently stir into the chocolate, apples, and walnuts and add the matzo meal. In a clean bowl, beat the egg whites until they form stiff peaks. Gently fold into the batter. Bake in the greased springform pan for 1 hour. Cool in pan. The instructions include equipment (such as a food processor and stand mixer or hand mixer) that make the cake a snap. But the cake can also be made by grating, chopping, and beating by hand. Serving options: I like the cake with whipped cream (or non-dairy whip for Kosher friends) and strawberries. (Strawberries are usually in season for Passover/Spring Equinox/Easter.) My mom's transcription from the 80's suggests sprinkling with powdered sugar just before serving. The cake is best the first day, but can be baked the morning of a big dinner. If you like this recipe, please like the Baby Birds Farm page on Facebook, or follow my Jewish Recipes board on Pinterest. Happy Thanksgiving week! Here is a round up of all of my favorite Thanksgiving dessert recipes: pies, pie crust and toppings, holiday cakes and cheesecake, all in one place. Tip: pie crust can be made ahead and refrigerated for three days, or frozen a month, before using. You could make a double recipe now and be set for pies and quiches through Christmas. “Real pumpkin” made with a roasted sugar pie pumpkin, eggs, cream, milk, fresh ginger and spices. Spicy Pepita (pumpkin seed) Brittle. 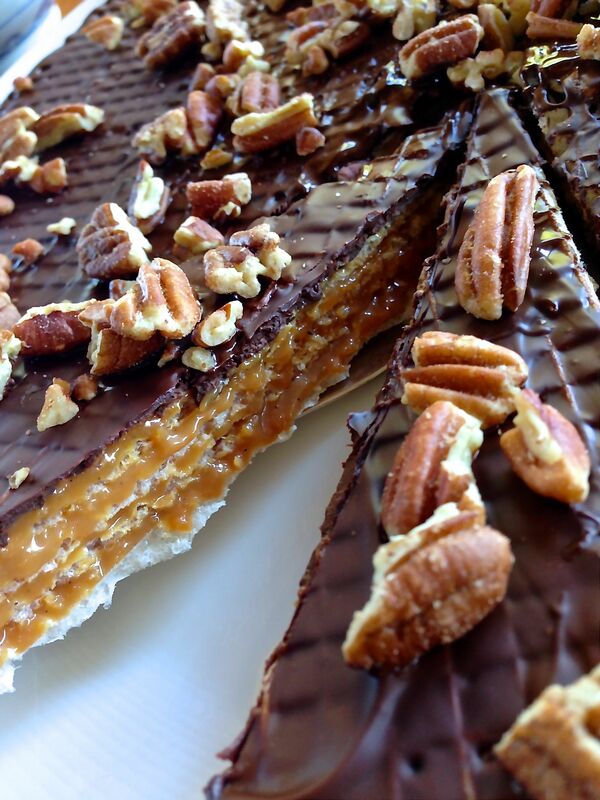 Caramel Torte with Chocolate and Pecans. Oh wait, there’s more pumpkin? Pumpkin New York Cheesecake with Cranberry Gelee Topping. What is YOUR favorite Thanksgiving dessert?? Feel free to include a link in the comments. Happy feasting! The holidays are coming! My favorite part of getting ready for the holidays has to be baking. 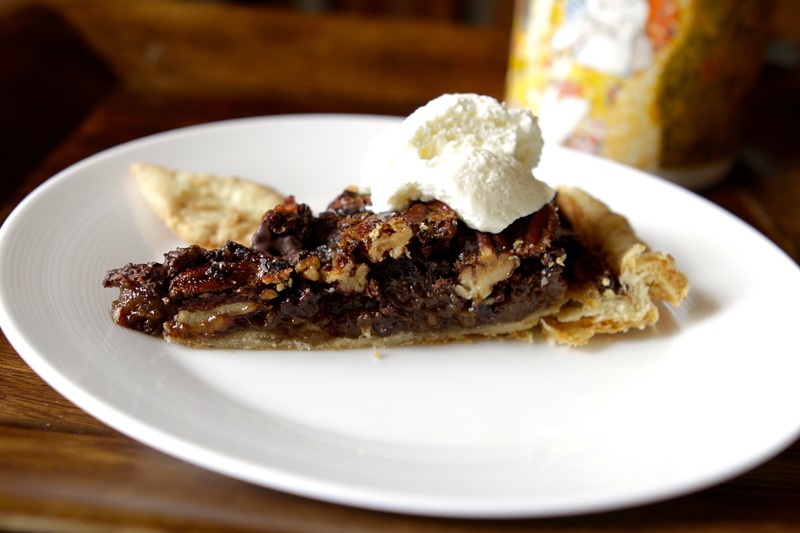 I’m happy to share my favorite recipe, a chocolate espresso pecan pie, with you here. It is, just as the title implies, a pecan pie made more decadent, yet less cloyingly sweet, with dark chocolate, espresso and cocoa nibs. 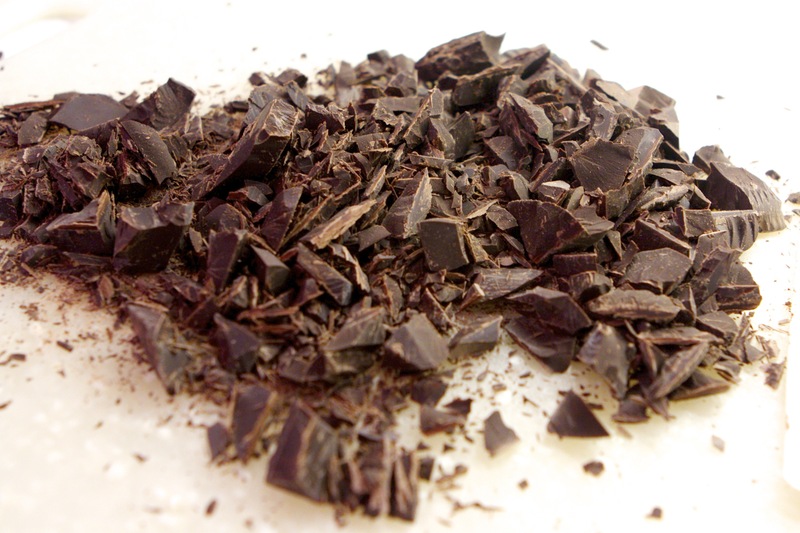 Cocoa nibs are 100% chocolate, in its raw and natural state. They are crunchy, slightly bitter and remind me vaguely of fresh peanuts. I’ve made this pie at least half a dozen times and it never disappoints! Serve with fresh whipped cream, a cup of black coffee, and you have my perfect dessert. This year, while transcribing the recipe for the chocolate espresso pecan pie, I decided to research alternatives to the original recipe’s suggestion of corn syrup. Apparently in Louisiana, cane syrup is considered traditional in pecan pies. Others have also used maple syrup and honey. I think using brown sugar plus a little bit of liquid would give a great flavor, complementing the pecans. I will probably end up using the same as last year: a mix of brown rice syrup and organic, non-GMO, corn syrup. Update (1/2/13): I made the pie again for Christmas with honey in place of the corn syrup. I highly recommend warming up the honey until it is liquid, and even watering it down a little, before adding it in. If not, thick honey will be hard to mix by hand. I personally felt like I could taste the honey, but my family liked it, and some even preferred it. Scatter the chunks of chocolate over the pie crust. In a medium bowl with fork beat eggs slightly. Add sugar, syrup, butter and coffee extract and stir until blended. Stir in pecans and Cocoa Nibs. Pour into pie crust. Bake 50 to 55 minutes or until knife inserted halfway between center and edge comes out clean. Cool on wire rack. Makes a double crust. 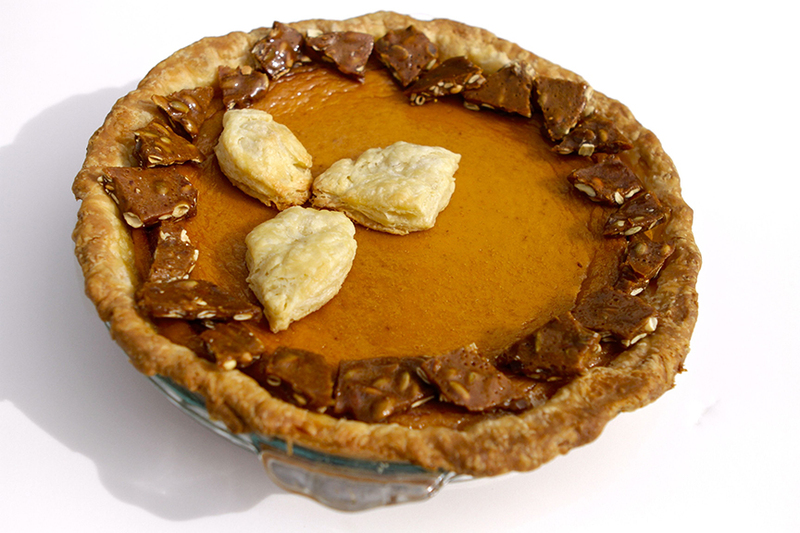 Since the chocolate espresso pecan pie only needs a bottom crust, use the other half for a quiche, a pumpkin pie or freeze for an easy pie crust in the future. From The Baker’s Dozen Cookbook via eggbeater. Cube butter evenly and freeze. 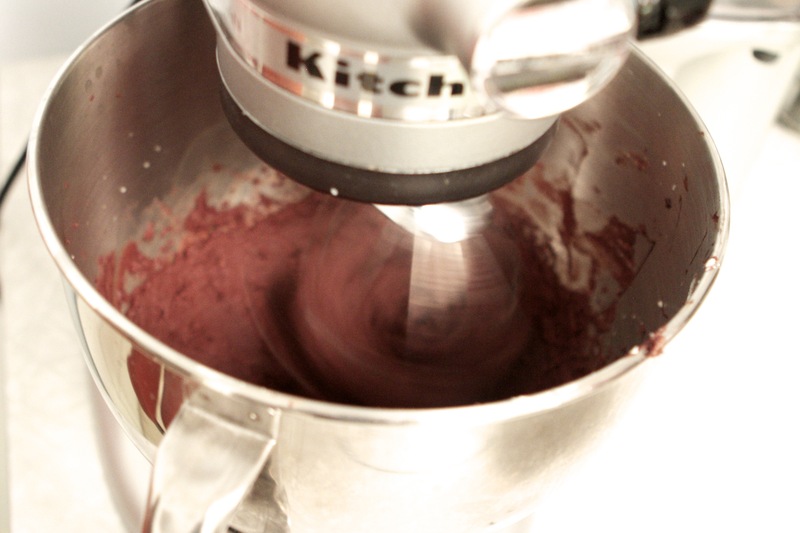 Place all dry ingredients in the bowl of a Kitchen-Aid mixer. When butter is frozen, use paddle attachment with mixer on the very lowest setting, and drop butter in a few pieces at a time. Stay close by. Put ice and cold water in a measuring cup. When the chunks of butter are slightly larger than pea size, dribble in the ice water until dough does not appear dry and JUST begins to come together. Turn the dough out onto a dry surface and push together with the heel of your hand. Try not to knead or overwork the dough, you want it to come together so you can roll it out. This dough can be used right away! This amount makes enough for a top and a bottom. If you are not going to use it right away, double wrap it in plastic and refrigerate for 3 days or freeze for up to a month. I love chocolate. And these chocolate and goat cheese truffles are one of my favorites. I usually cut a little extra chocolate to allow for “shrinkage” from nibbling. I do recommend paying a little extra for quality chocolate. When making a recipe, such as this, where chocolate is such a high percentage of the finished product, you will really be able to taste the quality. 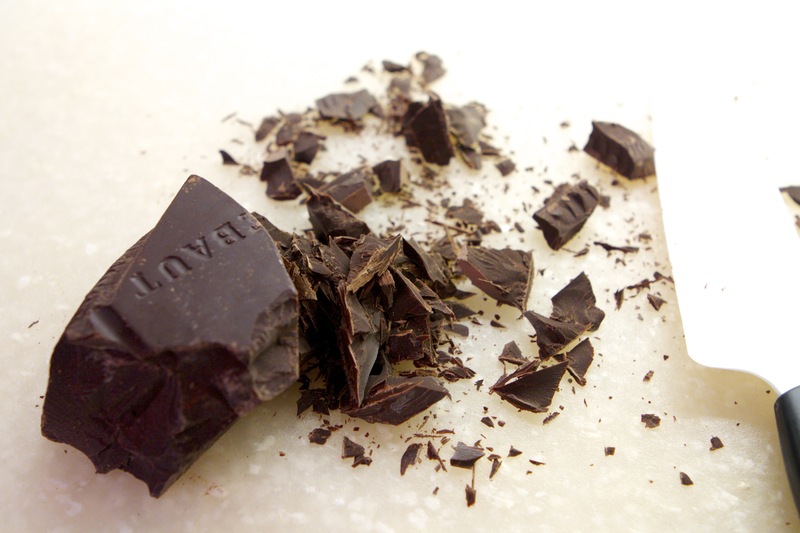 How can you tell if your chocolate is good enough? If you enjoy eating it straight, then it will work. Tip: If you don’t have a double broiler to melt the chocolate, use a stainless steel bowl that fits well over a pot. Whip the cheese with a little powdered sugar. Add in the melted and cooled chocolate. Let the mixture chill in the fridge for an hour. 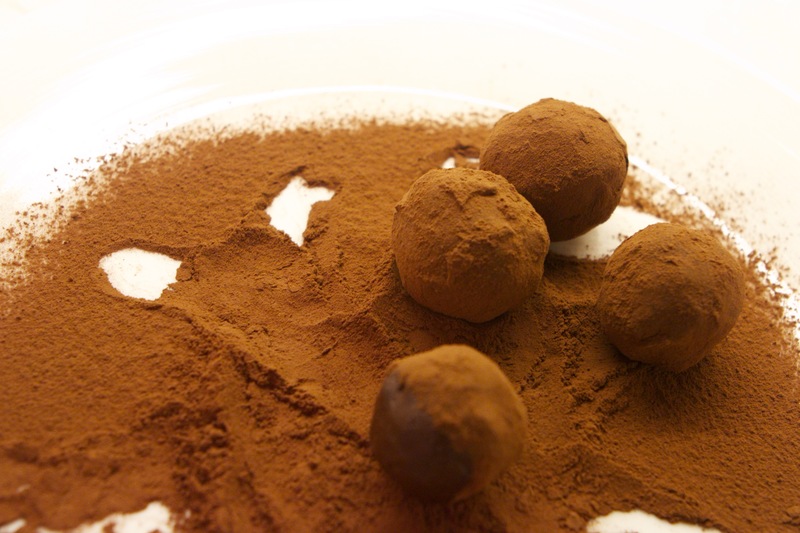 Form walnut-sized balls with a spoon and then roll in shifted cocoa powder. 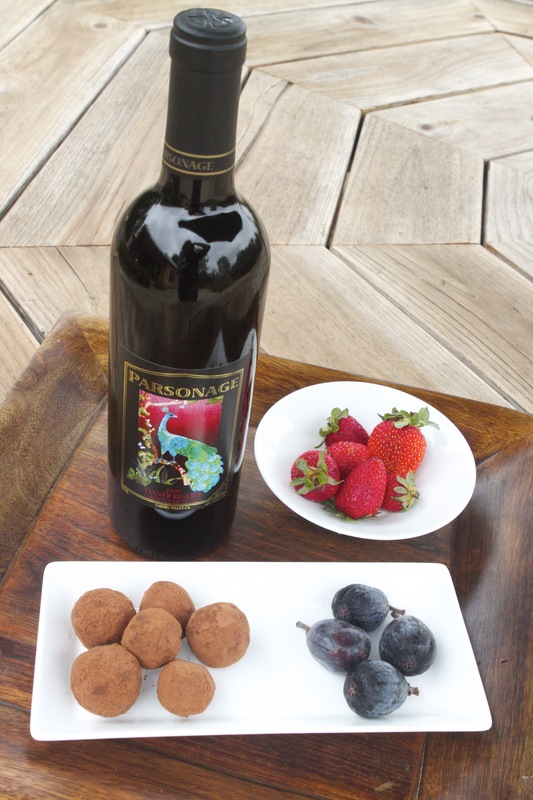 Check out Parsonage Village Vineyard for more of my favorite wines. 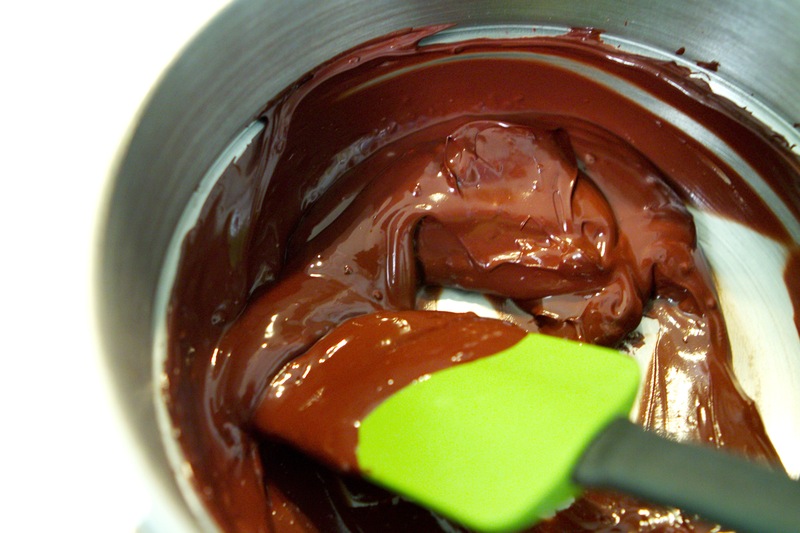 In the top of a double boiler, or in a metal bowl set over a pot of simmering water (make sure the water does not touch the bowl), melt the chocolate, stirring until it is smooth. Set the melted chocolate aside to cool for a few minutes while you prepare the rest of the ingredients. 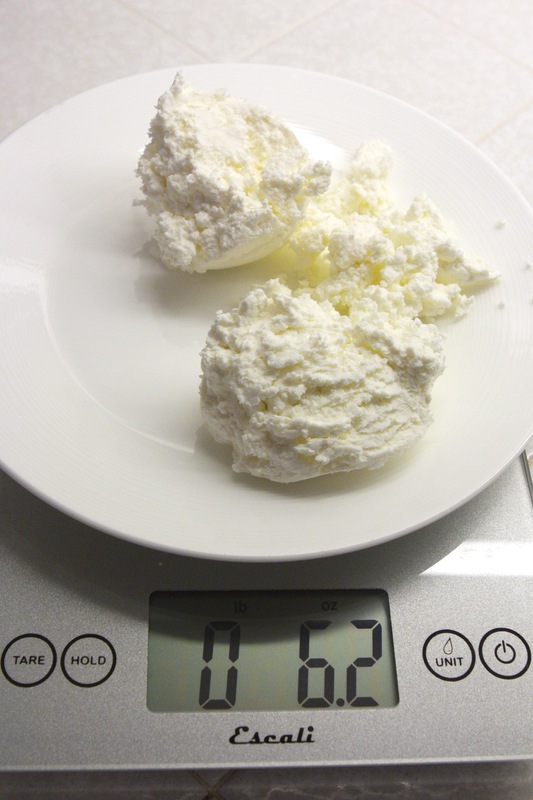 In a bowl whisk together the goat cheese, sugar, and vanilla until it is light and fluffy. 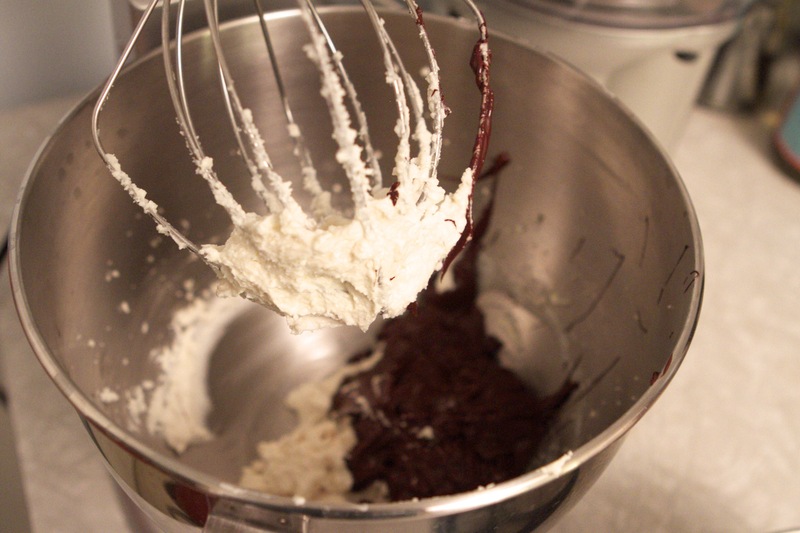 Whisk in the melted chocolate until it is well combined. Chill, covered, until it is firm, at least 1 hour. To form the truffles, take a heaping teaspoon of the chocolate/cheese mixture and lightly roll it into a ball with your hands. 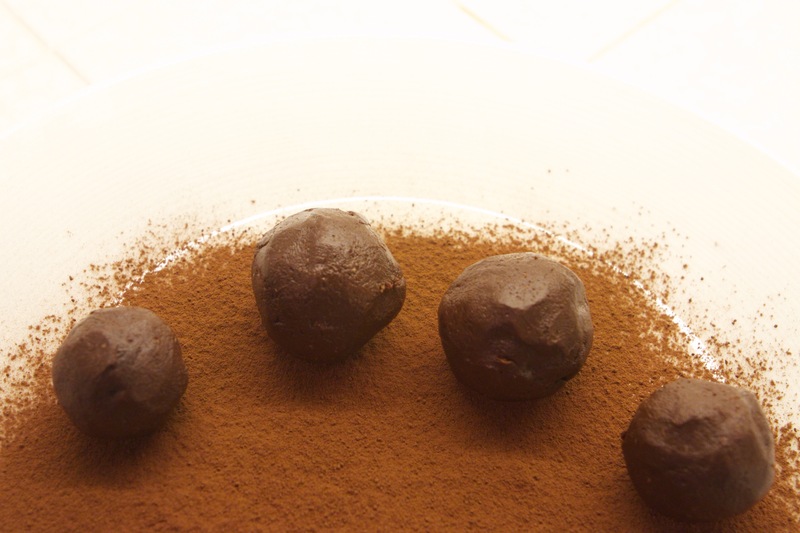 Roll the finished truffles in the sifted cocoa powder, set them onto a baking sheet lined with waxed paper, and chill until they are firm, about 30 minutes. The truffles can be stored in an airtight container in the refrigerator for up to 3 days.